Book your Stand-up Paddleboard Hire now! 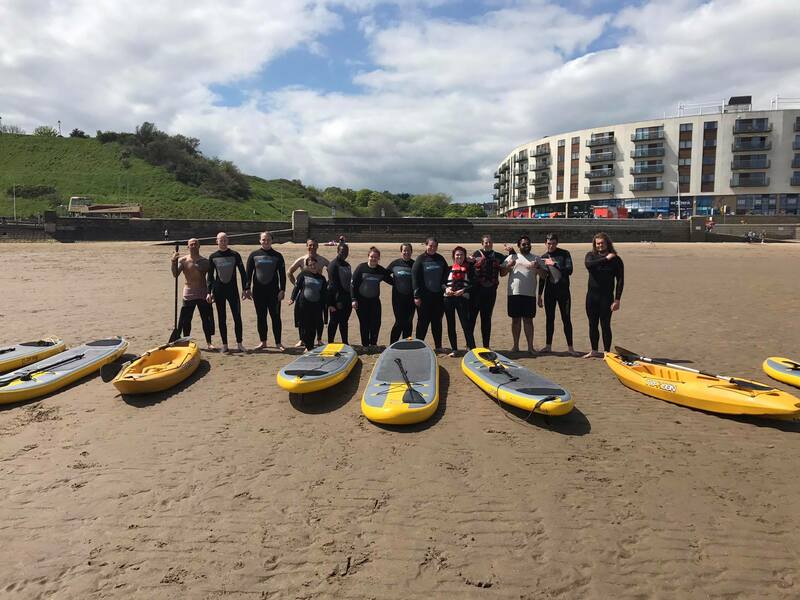 Why choose Stand up Paddleboard Hire Scarborough? Try the world’s fastest growing watersport – Stand-Up Paddleboarding! (SUP). Whether you want to cruise along the coast, catch some waves or just have some family fun at the beach… head down to North Bay and hire a SUP from Dexter’s. Stand-Up Paddleboarding is a fantastic introduction to life on the sea. If you are a beginner, it’s fairly straightforward to pick up the basics, and if you already have experience with an SUP, they’re a great way of exploring the coastline! We currently hire a stock of semi-rigid inflatable SUPs and all the equipment you need for getting out on the water! Buoyancy aids are available, and lessons are available too – so get in touch or book online now! Once you are ready, head back downstairs and our team will hook you up with a board, paddles and buoyancy aid (if you need one) and let you know where it is best for you to position yourselves in the bay according to your skill level, and off you go!